Haedyn Horstman has been living with diabetes most of his life. Every day his blood is tested for glucose levels and his insulin intake is monitored; sometimes he has to wake up in the middle of the night to eat or drink something so he won’t go into a coma. The worst part, though, might be that he was diagnosed at 9 months, an age before he could tell his mother, Julia Horstman, that something might be wrong. Type 1 diabetes (the kind Haedyn, now 3 ½ years old, has) used to be most commonly diagnosed in children and was previously referred to as “Juvenile Diabetes,” but this is no longer the correct term. Type 1 can affect children or adults, while Type 2, which has more commonly been associated with adults or obesity, is also being seen in children these days. Both types are caused by the body’s inability to process glucose – because of a lack of insulin (Type 1), or not enough insulin because of an insulin resistance (Type 2). What the general public needs to know most about diabetes is that it is a serious condition, notes Michelle Cassano, the executive director of the Alaska chapter of the American Diabetes Association. Left untreated, diabetes can result in death, which makes early diagnosis so critical. “If you have a family history of diabetes you should know the symptoms,” she advises. The good news is that “diabetes is treatable and it can be controlled,” and there is local support to help families cope. 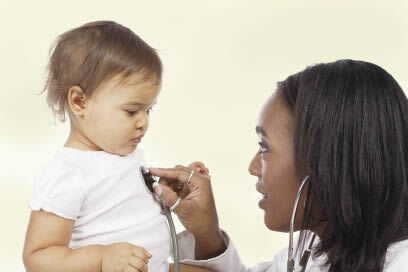 So, what are the symptoms seen in children? “Polyuria or frequent urination, thirst, weight loss – those are the classic things,” says Linda Lau, a pediatric nurse practitioner who specializes in children with diabetes at the Pediatric Sub-Specialty clinic at Providence Hospital in Anchorage. She says that fatigue is another important sign that frequently accompanies the classic three. “You might also see behavior changes,” she adds. These behavior changes might be not paying attention in school because a child is so tired, or a child who suddenly begins to wet the bed after never before having an issue. She adds that all of these symptoms are experienced with both types of diabetes in children but says that sometimes there are no symptoms in Type 2. The worst-case scenario for receiving the diabetes diagnosis, says Lau, is the one that the Horstmans experienced. Diabetic ketoacidosis (KA) is a serious condition caused by excessively high blood sugar, she says. “It can lead to a coma. About a third of our kids are in KA when they are first diagnosed in the Pediatric ICU,” she says. Controlling Type 1 diabetes involves testing the blood, injecting insulin, very close monitoring of a child’s diet and visiting a pediatric medical provider for checkups every three months until the age of 21. “They have to check their blood sugar before breakfast, lunch, dinner and bedtime, and often at intervals in between,” explains Lau. “They have to have insulin for every carb they eat, including snacks.” For every carbohydrate eaten, the child needs an equal amount of insulin to balance the sugars and that’s where the needles come in. “There is no way that you can control Type 1 without a needle,” states Lau. She goes on to explain that there are three different types of insulin delivery systems: a syringe, a pump and an insulin pen, which is just a little larger than an ink pen. Children with Type 1 diabetes require insulin injections four to six times a day. Cassano says that this stress is a familiar part of life for any family dealing with a diabetic child. The American Diabetes Association has developed programs and distributes information on everyday diabetes management – both medically and emotionally. One major way in which the ADA is helping families is through their Summer Diabetes Camps. “The ADA provides a full medical team at the camp so there are nurse practitioners, physicians, dieticians and older teens with diabetes who become counselors,” says Cassano. She adds that besides fun, kids can learn how to give themselves shots and to better monitor their carbs. “It’s also a week of respite not only for the children, but for the families so they don’t have to think about insulin twenty-four seven,” says Cassano. Alaska’s camp happens June 26 to July 1 at Lake Kenai each year.